Joshua Cohn focuses his practice on handling high-conflict litigation, including criminal defense (federal, state and municipal courts), commercial disputes and family disagreements (divorce, custody and domestic violence), as well as several other types of matters. The breadth of Mr. Cohn's background enables him to handle these types of cases. Upon completion of a federal court clerkship for the Hon. Alfred M. Wolin, Mr. Cohn began his career working for a large Wall Street law firm. He returned to New Jersey in 1990 where he served as an Assistant Prosecutor handling both trials and appeals in the Bergen County Prosecutor's Office for close to four years. After this successful tour of duty in the Prosecutor's Office, he joined Cohn Lifland in 1994. 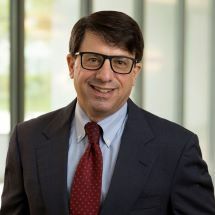 In addition to handling a full caseload, Mr. Cohn also serves as a Barrister in the Morris Pashman Inn of Court, and as a panelist on the Passaic County Matrimonial Early Settlement Panel. He is also an active participant within the Federal Criminal Justice Act Program. Mr. Cohn taught as an adjunct faculty member at the Seton Hall University School of Law from 1991 to 1997. He has been included on the list of New Jersey Super Lawyers for Criminal Defense, Family Law and Appellate, from 2006 through 2019, and was included on (201) Magazine's list of Bergen's Top Lawyers in 2014, 2015, 2016, 2017 and 2018, in Matrimonial & Family, and Criminal Defense (White Collar). Mr. Cohn is a member of the American Bar Association, the New Jersey State Bar Association, the Bergen County Bar Association and the Association of the Federal Bar of the State of New Jersey. He is also a lecturer for the New Jersey State Bar Foundation.